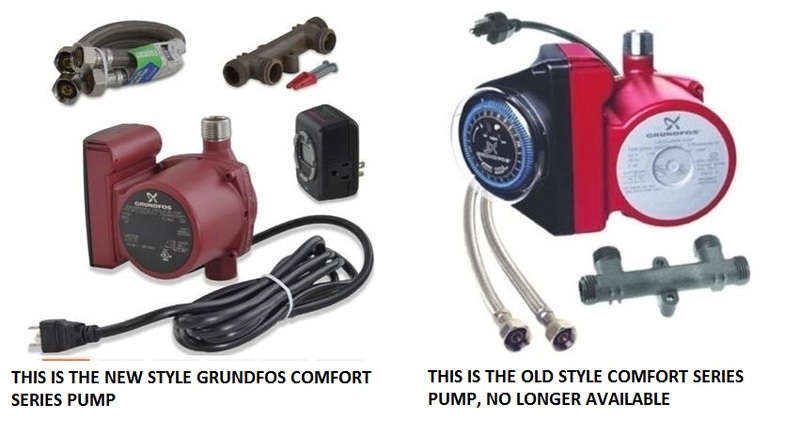 The Grundfos Comfort System is a pump and valve combination that delivers you hot water in an instant to any faucet or bath in your home. The Comfort System uses a pump at your water heater along with the patented under sink valve beneath the sink furthest away from the pump. This patented combination creates a pressure differential that allows the cold and cool water in the hot water supply line to "by-pass� (at low volume) into the cold supply line through a thermostatically controlled valve that is mounted under the sink furthest from the water heater. This combination works together to keep the water in your hot water line at temperature to provide "no-wait� hot water throughout your home. The timer on the pump makes it more efficient during downtime, like nights or mid-day. 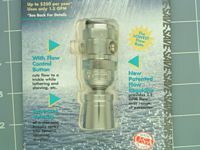 It�s quiet, maintenance-free, and keeps your water at a comfortable temperature. � No return line required. � Installs in less than one hour. � No electricity needed under the sink. � Built-in timer & line cord. 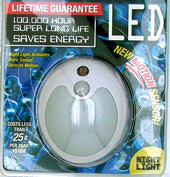 � Uses less energy than a 25-watt light bulb. � Can save up to 16,000 gallons of water per year, per household.